WordPress is one of the most popular Content Management Systems (CMS) for using on Business websites in the world. More and more corporate wordpress themes are used widely on the market. Why? Simply we are living and existing in the informative technology society with the serve competition among corporations, businesses and firms. In this race, the weak will be a loser. Therefore, the software companies are making great effort to develop many modern corporate themes to satisfy customer’s demand. The WordPress eco system is now so large with many different categories of business themes being sold on Themeforest. If you are looking for a cheap and easy to use website for your business store, please follow 10+ Best Modern Corporate WordPress Themes 2015 Opal WordPress will share you right now. Please relax and enjoy them! 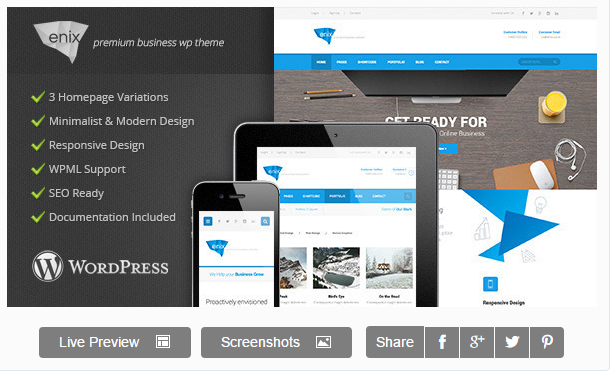 Why choosing Modern WordPress Corporate Themes 2015? Highly versatile. Corporate themes need to be very sophisticated, precise and informative. These best WordPress corporate themes 2015 inculcate all of them. Quality is maintained throughout as it is under the supervision of the best team which includes highly skilled designers as well as WordPress experts. The policy incorporated, “No Plagiarism”, original concept – original ideas! Extreme analysis to collect the requirement of the corporate themes, positioning each requirement in very symmetrical manner. Sodiss is a new theme Opal WordPress released 2 days ago. It is clean & responsive WordPress Theme and Woocommerce theme. With the outstanding features it is great, professional and easy to use. You can use it for a variety of websites such as Corporate, Business, Photo Studio, Freelancers, Portfolio Theme, Masonry blog, Modern events, Creative Agency etc. And This is first theme built in our WPO WordPress Framework Theme with Bootstrap 3 that to make fully responsive theme that works perfect on all kind of resolutions as well for mobile, tablet, desktop having medium and large screen. 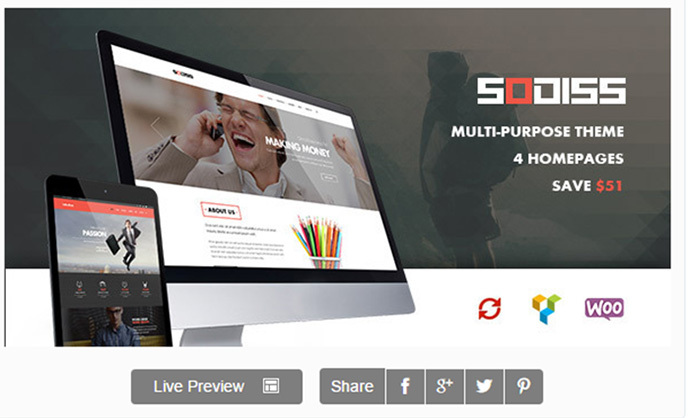 If you are looking premium business WordPress theme for your next projects, Sodiss is really ideal for you. It has enough of outstanding features for your business store! Biss – is clean multi purpose WordPress Theme and Ecommerce Theme. It is great, professional and easy to use. You can use it for Business, Photo Studio, Freelancers, Portfolio Theme, Creative Agency etc. This theme has many powerful features and functions you can’t ignore such as 7 awesome homepage layouts, Layers Slider Responsive, Unlimited Color Styles, WooCommerce Integrated, Multiple Header and Footer Styles, Retina Icons… Before Opal WordPress published a great blog of 10+ Best Multipurpose Business WordPress Themes 2015. If you have time, please visit it to enjoy! Golmart – Creative WooCommerce Theme is the best supermarket theme, a multi-shop purpose, sophisticated, clean & profesional design, high quality code for best WooCommerce WordPressTheme. It is perfectly suited for any kind of shop websites, e-shops, portfolios, blogs, marketing or technology websites, photo, services and others. Built with Bootstrap and CSS3 this creative theme is fully responsive design ready for the perfect look on any device. It is touch screen optimized, Easy to customize, Editable layout, colors, styling, fonts and more. Theme can be easily modified to your needs and style. You get tons of layout possibilities and unlimited variations. What’s more! 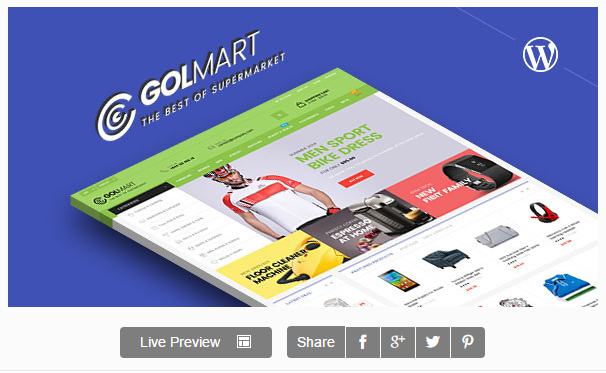 With a variety of 8 eye-catchy homepage layouts and awesome woocommerce features Golmart is really an ideal place to choose shopping theme for your online business. Golmart always wants your shop to look amazing and loved in your customers’s hearts. Octopus is a Modern Multipurpose Business WordPress Theme suitable for any type of website, personal, business or corporate use. With a perfect and impress design, Octopus comes to customers with a modern look, eye catching and friendly. What’s more! Octopus is attractive by outstanding features anyone can’t ignore such as awesome homepage layouts, wonderful revolution sliders, Megamenu, Easy to use theme options panel and much more other features. If you are planing to find a business wordpress theme for your next project, Octopus is idea for you. Surely it will not make you disappointed! 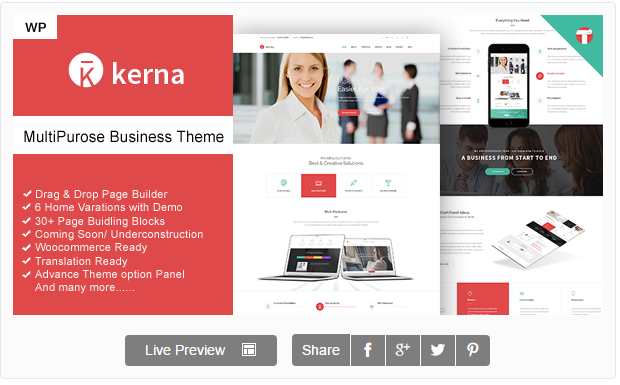 Kerna is a Modern MultiPurpose Business WordPress theme. Kerna WP theme is suited for any type of website, personal or business use. The Home Page is designed with modern Business needs while keeping in mind to make it user friendly and eye catching so that people using it can get the best out of their website. If you are looking premium business WordPress theme for your next projects, the Kerna is ideal for you. 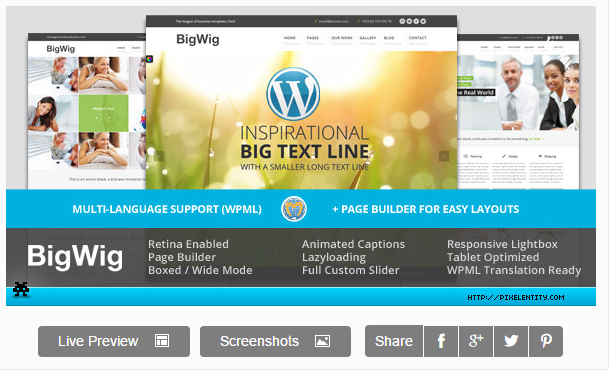 This theme comes with awesome page builder, awesome slider effects, easy to use theme options panel and much more features. Multi-layered PSD is included in theme for free. 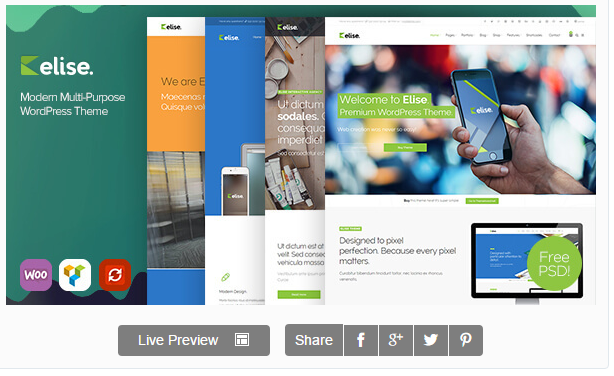 Elise is a modern, fully responsive multi-purpose WordPress Theme. Designed with stunnung attention to detail, suited for all kind websites – business, corporate, product, shop, creative, portfolio, photography, blog and many more… Build with modern tools and plenty of options which allows you to create fantastic websites in minutes. It comes with powerful Admin Panel and advanced Styling options. 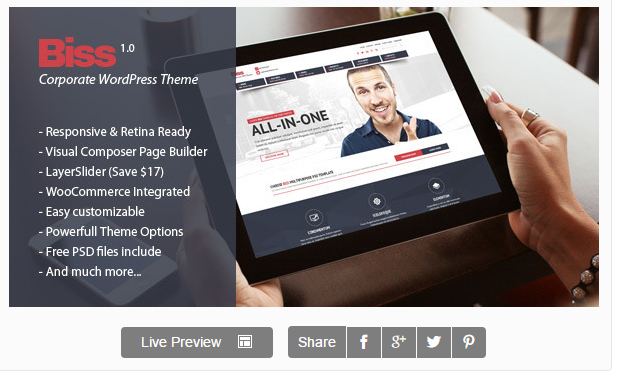 Theme also includes amazing Premium Plugins – Drag & Drop Page Builder – Visual Composer (worth $28) and Revolution Slider (worth $18). 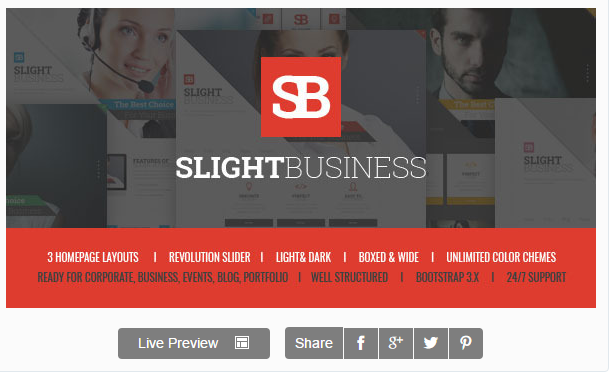 Slight Business – Responsive Corporate WordPress Theme is modern, clean and professionally crafted WordPress Theme. It has 6 homepage layouts. This Theme suits for any type of corporate, portfolio, personal website, business, design studio etc. This Site Theme has many accent color chemes, dark & light versions, boxed & wide versions and fully responsive. The designed based on bootstrap grid and can be easily Customize. 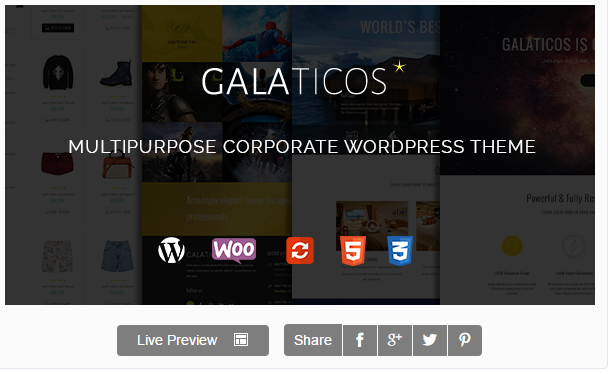 Galaticos is a premium WordPress theme for businesses and entrepreneurs. Built with HTML5 and CSS3 (LESS), Galaticos is 100% responsive and easy to customize via powerful options. This theme is very intuitive to use and completely ready to operate out of the box. Galaticos is built with care of usability, user experience and ability to customize. With creative theme options page as well as very detailed instructions and documentation, users will take less than 10 minutes to setup and use Galaticos. In the nutshell, this is 10+ Best Modern Corporate WordPress Themes 2015 Opal WordPress wants to share with you. 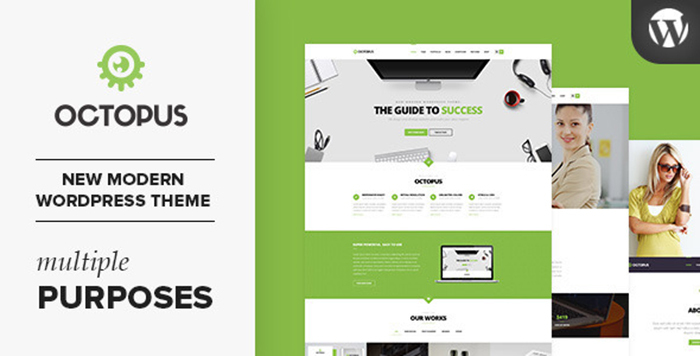 They are the best modern themes on Themeforest. Hoping through this list, you can choose the most favorite theme for your business and especially learn many new experiences and knowledge for your theme. In the process of searching, you discover the theme please leave a below comment and contact us via email or our social channels such as Facebook, Twitter, Linkedin, Youtube, Pinterest, we will update theme immediately! If you love which themes, please visit demo and download below!